Many gamers recognize Super Mario Bros. 3 as a seminal classic and an old-school icon. 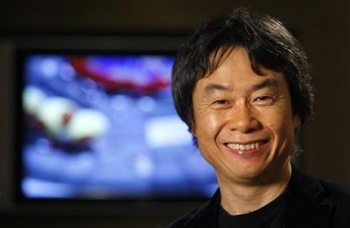 Mario creator Shigeru Miyamoto just thinks it's embarrassing. If you ask a Mario fan for a list of his or her favorite games of all time, it's probably a safe bet that the beloved 1988 Super Mario Bros. 3 will be somewhere on there. In an interview looking back on 25 years of Mario, however, Nintendo mastermind Shigeru Miyamoto admitted it's hard for him to see things the same way. "I look back and play some of these games and there are a lot of places where, to be honest, I'm a little embarrassed," Miyamoto told Techland. "I look at Super Mario 3, and was like, '"This was it?! This is what we thought was good enough?'" It's often said that we are our own harshest critics, and this seems to be no exception. Over 25 years with the character, Shigeru Miyamoto (and those who have followed in his footsteps) has taken the portly plumber into the third dimension and even into space - it's no wonder that he looks back on the relatively simplistic SMB3 and sees flaws where others see streamlined old-school perfection. That said, Miyamoto does recognize that for the time, the game was pretty ace. "I do have new understandings of that work. The balance in that game is what it needed to be at that time. It really was. And so, even seeing all the limitations, I'm very happy with what we created and I wouldn't change it." I wouldn't change Super Mario Bros. 3 either, Mr. Miyamoto. You may see flaws in it, but millions of gamers grew up with Mario and Luigi, the Koopa Kids, and the Tanooki Suit, and we wouldn't have it any other way. As always, an interview with Shigeru Miyamoto is a fascinating look at the design philosophy of one of the most legendary videogame creators of all time, and this one is well worth a read. You can catch the full thing over at Techland.